That is one of my favorite quotes! Books really can impact our lives, so my husband and I want our girls to read quality literature that teaches them principles they’ll remember long after they put down the book. 1. Just Friends: Guarding Your Heart for a Wonderful Someday by Mike Ray and Cary Schmidt. 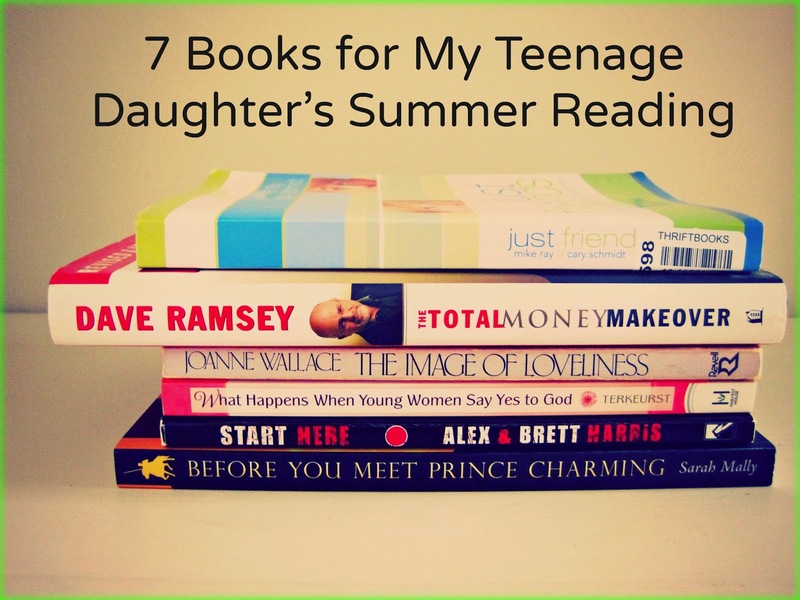 I pre-read this book and think it will be a helpful read for her before she enters high school in the fall. 2. The Total Money Makeover by Dave Ramsey. She read Financial Peace last summer, so we’ll see how the two compare in her mind. 3. The Image of Loveliness by Joanne Wallace. I read this book in high school, and even though parts of it may be a bit dated, I still think my daughter can learn much about inner and outer beauty in its pages. 4. What Happens When Young Women Say Yes to God by Lysa Terkeurst. 6. Start Here: Doing Hard Things Right Where You Are by Alex and Brett Harris. This is the follow-up to Do Hard Things, which she read last summer. 7. Before You Meet Prince Charming by Sarah Mally. Our daughter will have about a week to read each book and prepare a brief report on it. As I mentioned before, we pay her $5 for each completed report. Next summer, we’ll have both girls on this program. What other books would you recommend (fiction or non-fiction) for a 14-year-old girl? That's a great list. I really enjoyed The Go-Giver. I may have to institute something like this for my girls this summer.